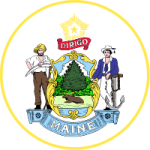 With the help of the division of support enforcement and recovery in Maine, parents can enforce an order for the paying parent who is longer living up to the responsibility of child support. It thus means that the guardian should take action and file a complaint outlining all the details of the child support and how the noncustodial parent has neglected those duties. Step 1: Access and download the application form. Step 2: Read the opening statement. Step 3: Fill with the required information of the applicant, child, other parent and medical insurance. Step 4: Compute how much you are owed by filing the worksheet and sign it at the bottom.